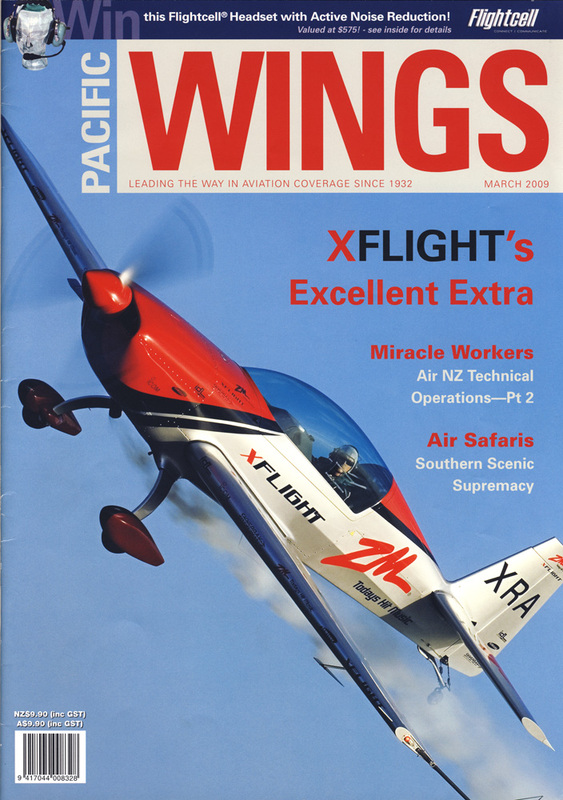 The Extra 300 used to be a regular competitor in the now famous Red Bull Air Races. New Zealand aviators and thrill seekers can now experience the thrill of an Extra 300 flight with Auckland’s XFLIGHT, as Rob Neil reports. Air Safaris’ story is too big and interesting to tell in a single instalment. Part I outlines the history of this exceptional company and the uniquely suitable aircraft it has used since it began operating in the seventies. In Part I of this article in December last year, Rob Neil followed ZK-NGJ through a major check to tell the story of the hard-working men and women working behind-the-scenes to keep air travel safe and reliable for the rest of us. In Part II, as the weight of paperwork approaches the weight of the aircraft, NGJ finishes its check. Graeme Mollison was responsible for carrying out the operational check flight of NGJ at the conclusion of its “6C” check. He describes the routine flight checking process involved in returning a 737 to service. Grant Newman tells the story of a Scottish aviation pioneer whose exploits provided some historical controversy long after his untimely death.